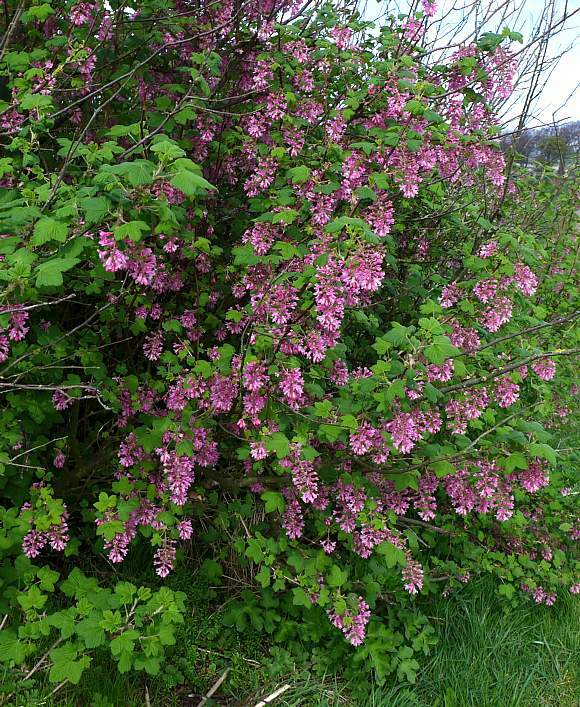 A very popular garden shrub growing to 2.5m that occasionally escapes into the wild by courtesy of being bird-sown. 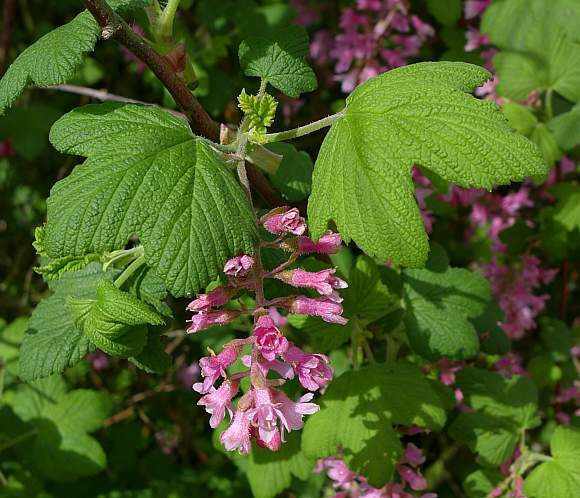 Leaves an attractive mid-green and palmately lobed with radiant wrinkles. Flowers hang pendant in loose racemes. En-masse they emanate a pleasant aroma. Leaf lobes are blunt and number three to five. Radiant veins lie almost parallel to the main veins. 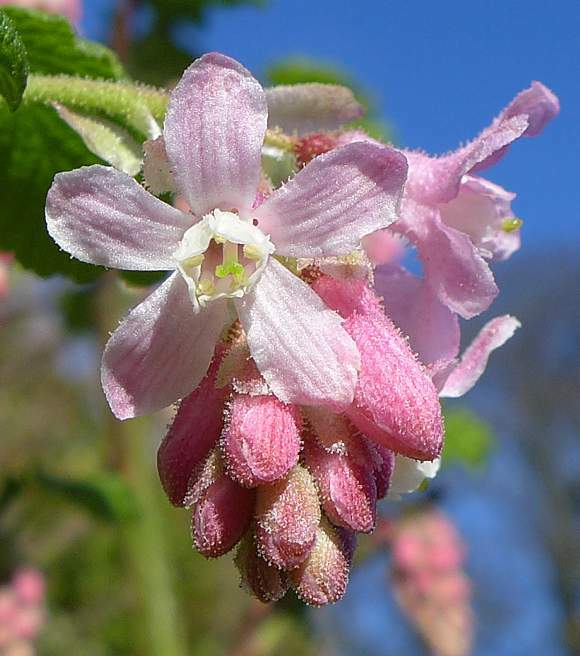 Colour of flowers is pinkish, with whitish parts. 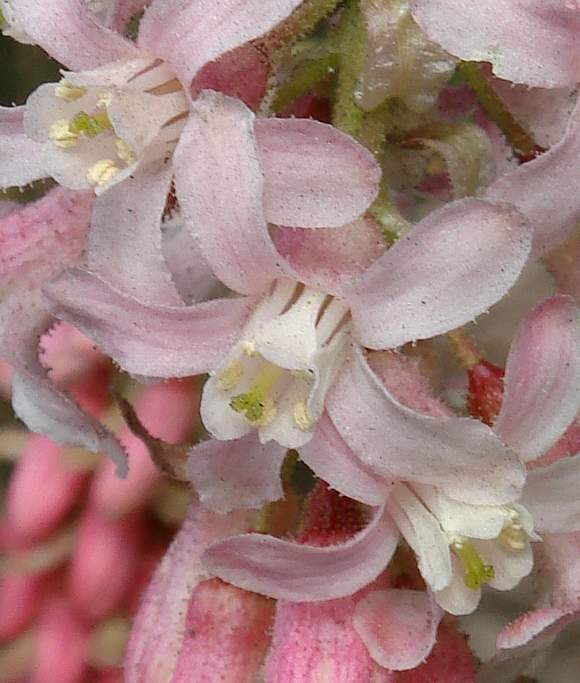 Some plants have red flowers, but rarely all-white. 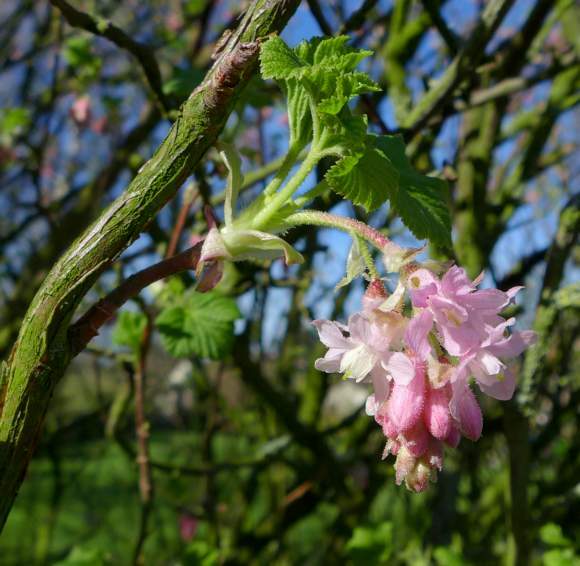 Leaves and flowers form together in early spring. Un-opened flower buds hang loose. They have five cusped petals that eventually splay out at right-angles, and five inner petals that form a tube. 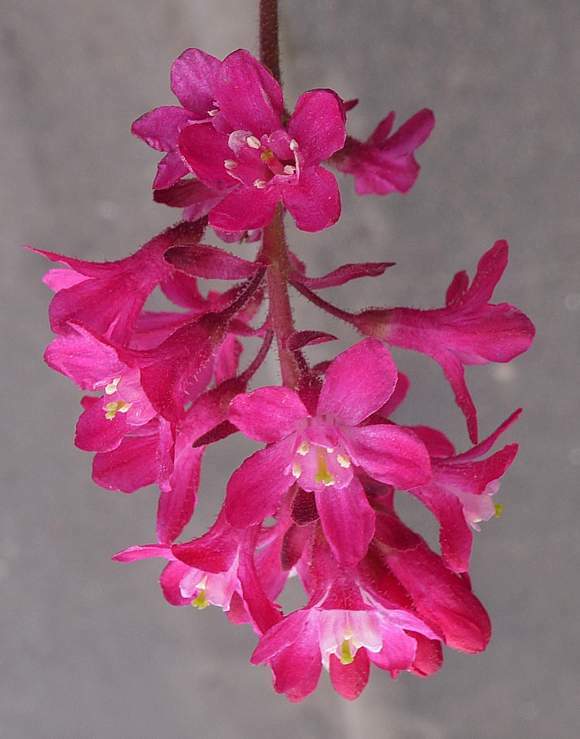 The outer petals are usually a deeper shade than the inner petals. Outer ones also parallel-striped. Inner flower has five stamens with anthers that keep near the outside edge, and a central style. 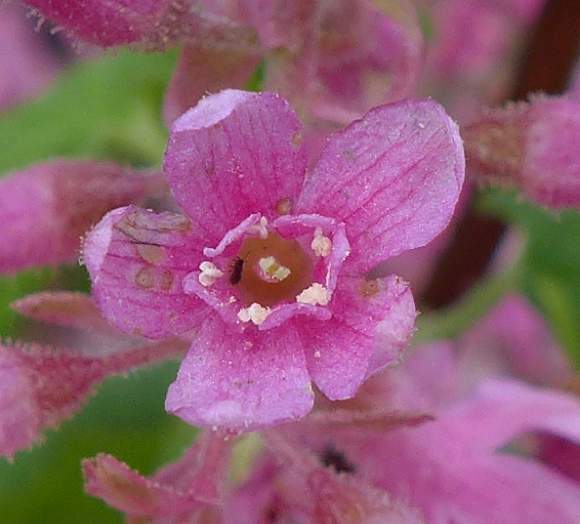 The inner petals exposed as paddle-like. 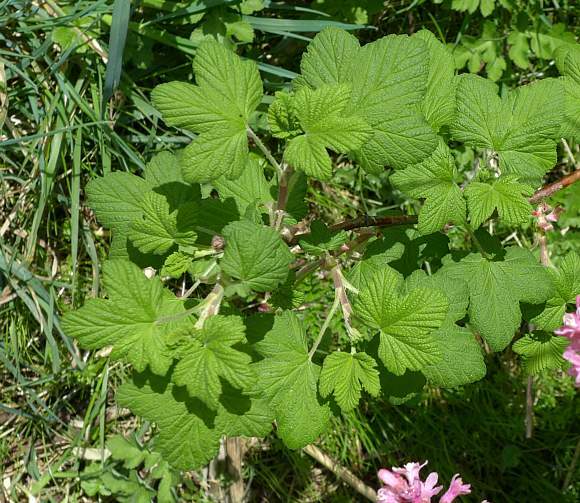 Leaves 3-10cm across and with rounded lobes somewhat similar to those of Common Mallow. The undersides are downy hairy. When crushed the leaves smell aromatic. 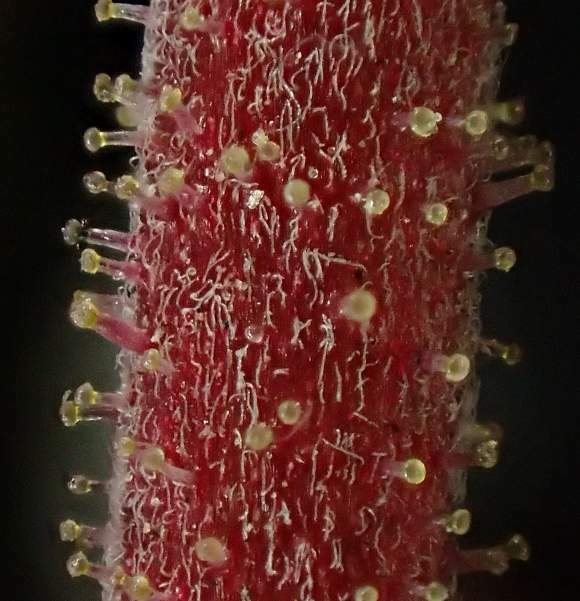 The stems are covered in translucent glandular hairs and much finer 'white' hairs which are appressed to the stem and far from straight. The above in closer-up. 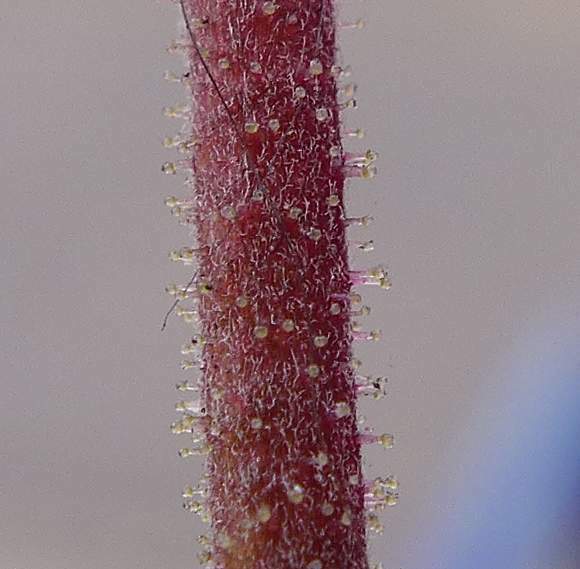 The tips of the glandular hairs are translucent pale yellow, the stems either clear or faint reddish. The berries, green at first, are apt to fall off when ripe, or get picked off by birds. the berries have much the same very short hat-pin type hairs (but no thinner plain hairs as are on the stems). To black when ripe. They are edible but insipid and have a whitish bloom. 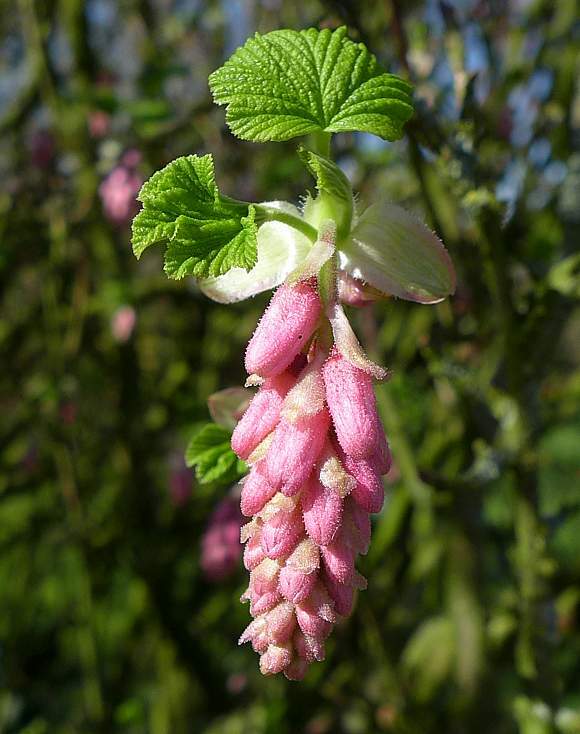 Distinguishing Feature : Pendant racemes of pinkish hairy flowers and mid-green palmately-lobed leaves with rounded lobes. No relation to : Flowering-Rush (Butomus umbellatus) [a plant with similar name but which grows in water and belongs to a totally different family]. 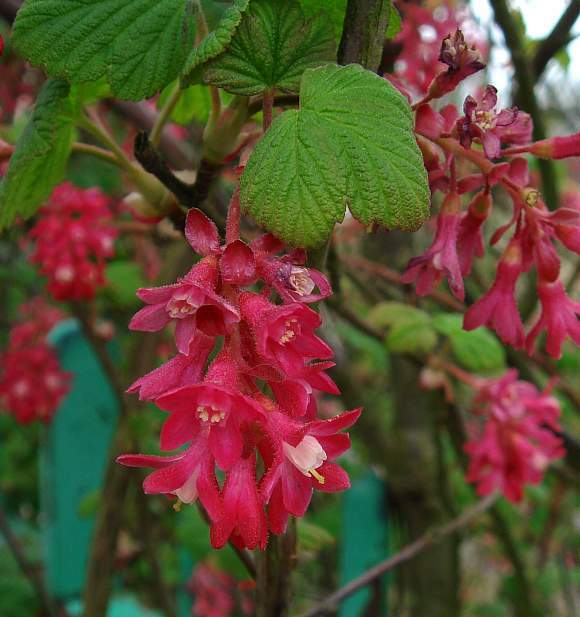 A deciduous garden shrub with many cultivars. 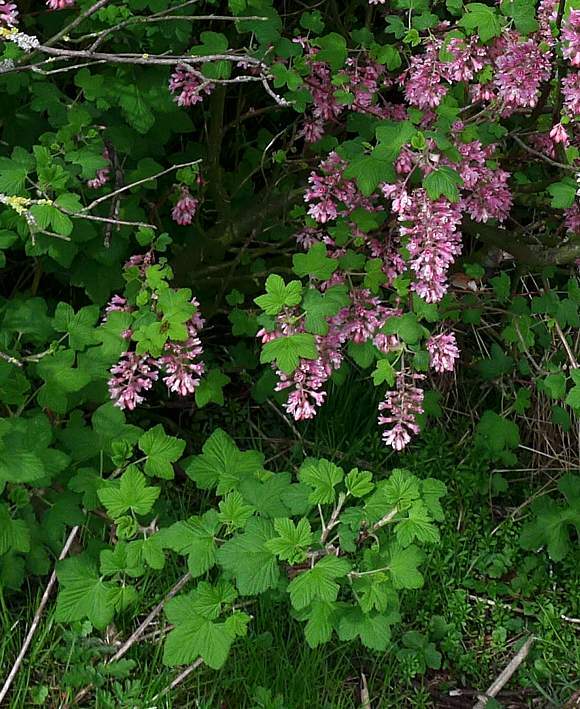 It is not native but was introduced and is now naturalised in the wild, into woods, scrub and pollarded willows, although it seems not that often around here. Many cultivars may be sterile? 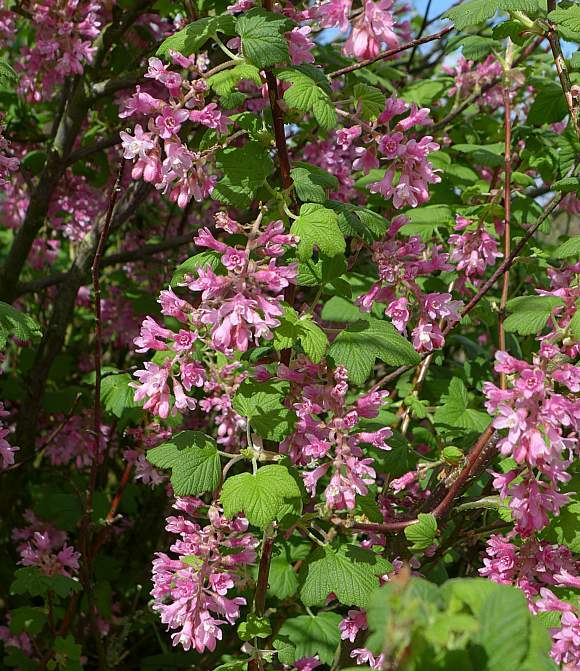 It grows to 2.5m high and is both bird-sown and self-sown from the seeds contained within the purplish-black berries which have a whitish bloom. 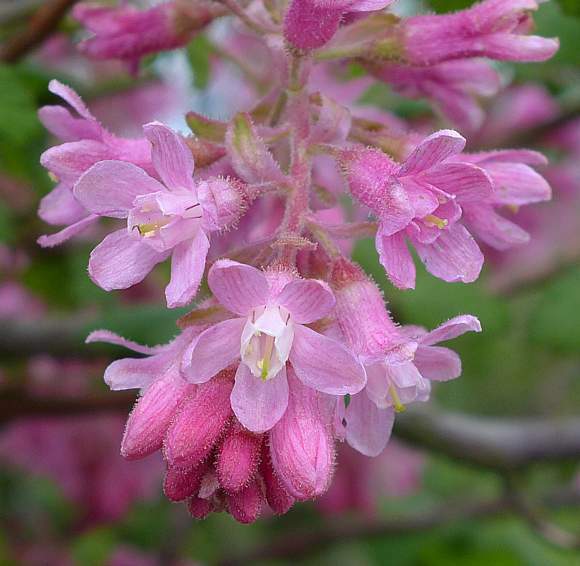 The flowers are pleasantly scented; the leaves too if crushed, a feature that distinguishes it from many similar Ribes genera plants except Black Currant which has larger berries (and from which Ribena cordial is made). According to your Authors sense of smell the flowers pong absolutely awful - of cat-pee. Other report of 'scent'. Hmmm.